Ah, the croissant – the French pastry commonly found in boulangerie, a sinful buttery goodness that we cannot say no to. Here are some interesting flavours and types of croissants that make you cry “OUI”. The Salted Egg croissants have sure been incredibly popular in Singapore lately – and the store that has purportedly the BEST salted egg croissant is Antoinette, located at Penhas Road. Of course, after having the regular Liu Sha Bao, next up on the popular food list must be Salted Egg croissant. Taste the salted gooey goodness of the Salted egg croissant and you’ll probably never forget about it. The Tuna Croissant is great for Tuna lovers. Delifrance sells them – with copious amounts of tuna! Like regular sandwiches, they come with lettuce and tomatoes. The Curry egg croissant looks divine, and tastes divine. The spices of the curry mixes well with fresh lettuce. Having eggs as the main filler gives a taste of strong yolk. This flavourful combination may startle those who think the regular croissant should be rather bland. A croissant stuffed with duck confit – if that doesn’t excite you, you should try eating the Pulled Duck and Apricot from Symmetry, in Jalan Kubor. The zest of apricot blends well with the flavourful pulled duck. 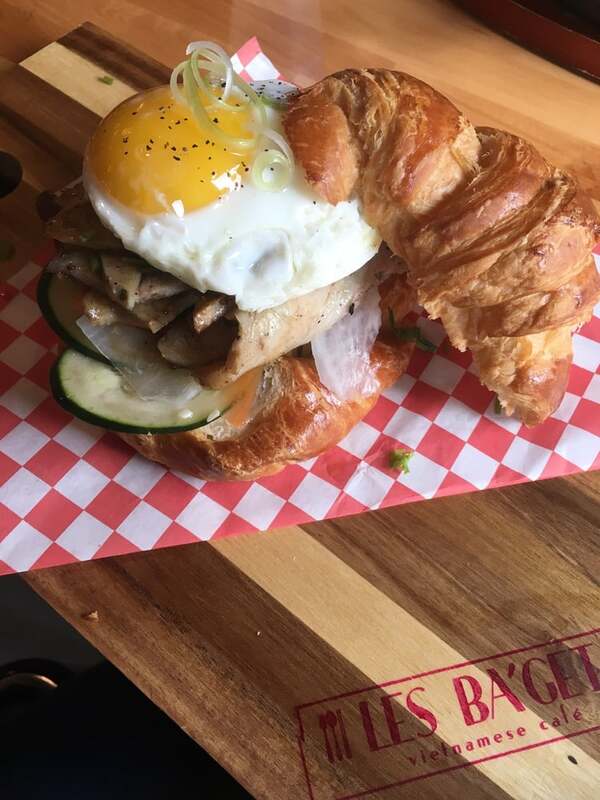 Who can resist a hunk of pork belly wrapped in croissant? One interesting type of croissant is the Pork Belly Croissant, which melts in your mouth – fats and all. Check them out at Symmetry, in Jalan Kubor. 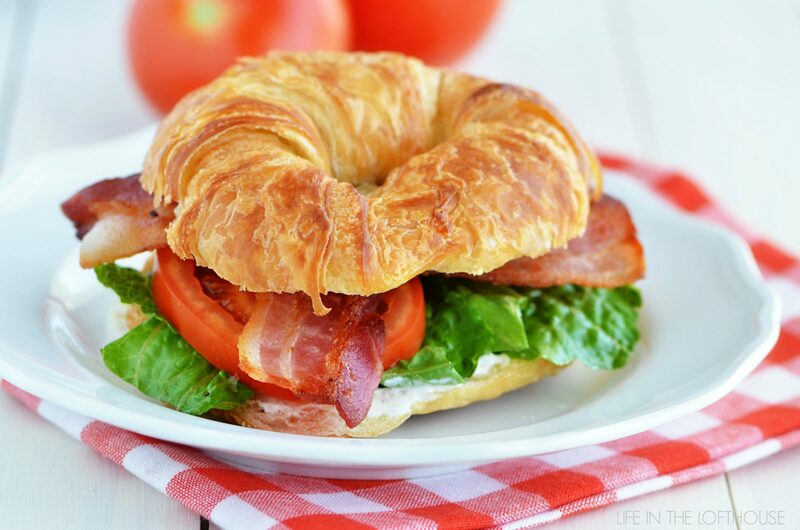 Well, the BLT is typically served in bread, but with flaky croissant, you bet the texture will be surprisingly different from what your usual BLT, especially from those in Group Therapy at Duxton. The strips of bacon are succulent – and it’s probably worth your money. 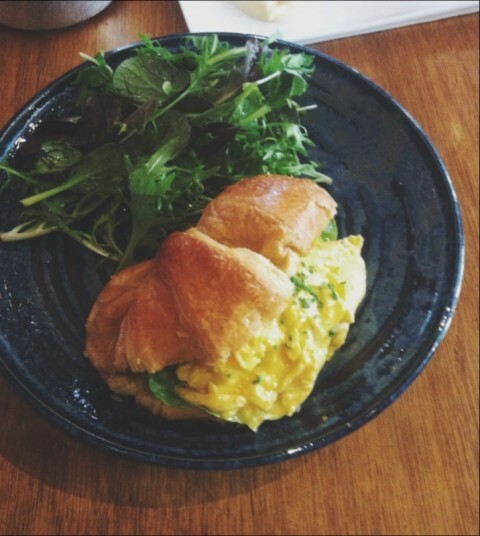 Scrambled egg croissant can be found in Lola’s café in Simon road. Instead of having a breakfast meal of scrambled eggs and croissant separately, how about having them together? The scrambled eggs at the café were just nice – not too watery or thick.